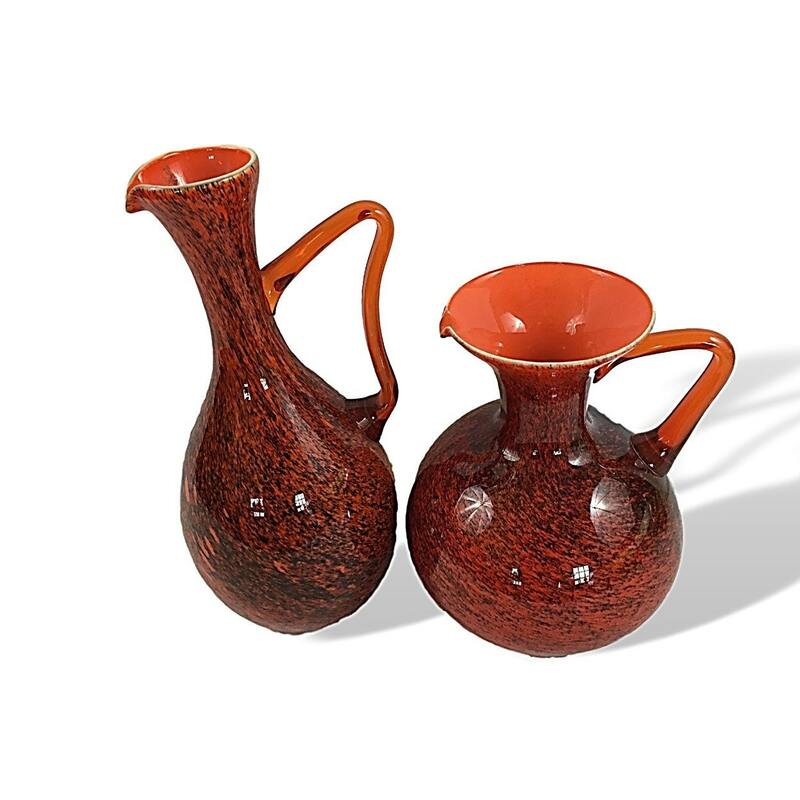 This set of two BIG Mid-Century Modern Italian decanters/pitcher will make for one dramatic display. Cased glass made in Empoli earlier in the mid-century period tended to be heavier, thicker, and higher quality, and these beauties are a perfect example of this. 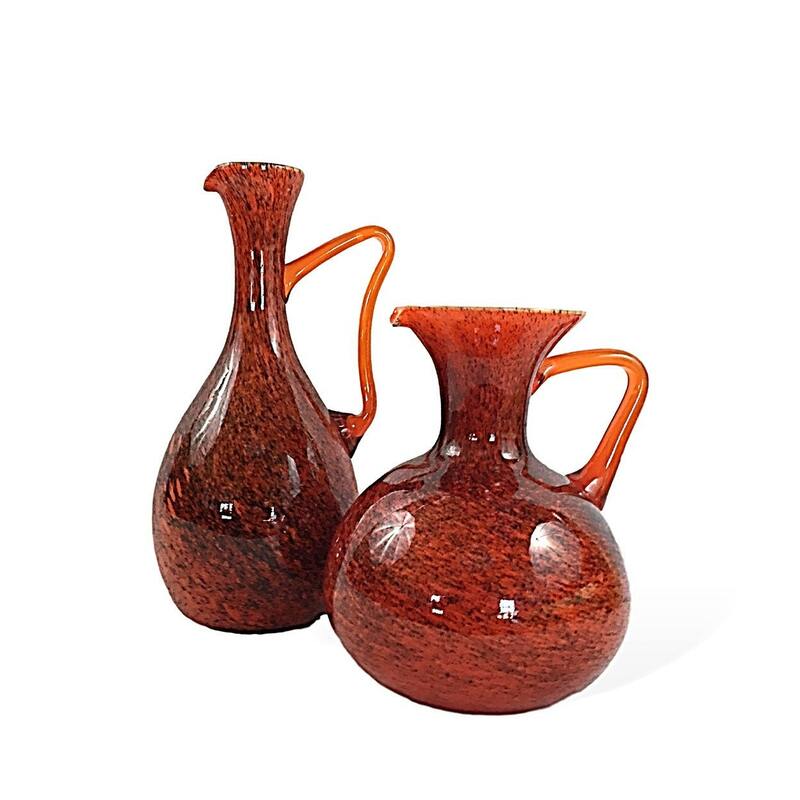 The bright orange interior set off by the mottled black overlay on the orange exterior makes the mouths of these pieces a vivid design element in themselves.